Throwing around money without rhyme, reason or recording is a recipe for financial disaster. Unless you’re extremely lucky, continuing such bad habits eventually catches up to you, often with worrisome consequences. To prevent such problems, to dig yourself out of a current situation or to simply build a nice savings, your first step is to establish and respect your budget. Below, I will walk you through the steps of creating your own personal budget. This is part one in a series of three articles related to managing your personal finances. The budget starts with your income, so you know exactly what you have to spend. Because most regular expenses occur monthly, such as credit cards, mortgages, utilities and such, tabulate your income as a monthly total. Furthermore, only consider your take-home pay after taxes are removed. If taxes aren’t deducted from your salary, you should be paying the taxes quarterly or annually; don’t deduct these tax payments yet, because they’ll be included in your expenses later. If you can’t count on a source of income, such as a lottery-type bonus or the rare odd job, exclude it from your total. That way, if you don’t receive the income, it doesn’t put you in a tough spot. It’s always better to be pleasantly surprised with unbudgeted income than to rely on income that doesn’t exist. So Jane has a total of $3,464 from which to address expenses. Consistent, monthly expenses, such as mortgages or rent, need only be added to the total. Consistent expenses that occur regularly at non-monthly intervals, such as annual dues, need to be converted to monthly payments, using the same conversions that you used for income. Inconsistent, regular expenses, such as fluctuating monthly utility bills, need to be averaged: Look at your old utilities bills or check stubs, add all payments for the year and divide by 12. Inconsistent, irregular expenses likewise need to be averaged. All expenses, including those that may or may not occur, should be considered. Again, it’s better to plan cautiously. Note that the list already factors in the anticipated end-of-the-year tax liability, so Jane is saving that money in advance. Although technically this payment isn’t due until April 15th, it’s still averaged over a 12 month period, because it’s an annual expense, but this won’t always hold true. For example, if you were planning a vacation in eight months and wanted it paid for before you embarked, you would divide the vacation expense by 8. This illustrates how to factor in known future expenses, but it’s not always the best option; in this example, Jane might consider putting that money into paying off her credit card, because even if she ultimately uses her credit card for the tax liability, she at least saves the high-interest charges in the interim. Also note that this example is not exhaustive; your income might include entertainment, cigarettes (quit now! ), cable TV, magazine subscriptions, etc. Your budget should include every foreseeable expense. Tabulate receipts, bills and statements to help estimate these expenses. If you have trouble coming up with totals, write down every expense you make for several months and average them to fine-tune the budget you make today. But don’t wait months to create a budget; even a less-than-perfect budget is better than blind financial faith. You might also consider adding a 10 percent margin of error to your budget to factor in overlooked, variable or unexpected expenses. You may never actually need this money, in which case it goes to savings, but it’s better to err on the side of caution. This is especially true if you don’t have any fallback savings or an emergency fund. The last step is subtracting your total expenses from your total income. This leftover money is what you can, and should, apply to savings. If that figure is negative (which is the case in the Jane example) it means you go further and further into debt every month, so obviously things need to change. And even if you do have leftover savings, you should optimize your budget to save even more. For details, see the article, “Tweaking Your Budget to Maximize Savings" which takes over where this article left off. One final note: The budget you establish should be your gospel from which you don’t deviate. Each individual expense is budgeted for that amount. If you end up paying less, that’s great, but that doesn’t mean you can pay more somewhere else, because variable expenses are averaged, so the lows today cover the highs tomorrow. Feel free to update the budget as your financial situation changes, but the only flexible money you have is whatever is left over after subtracting your expenses, and that money should go to savings. 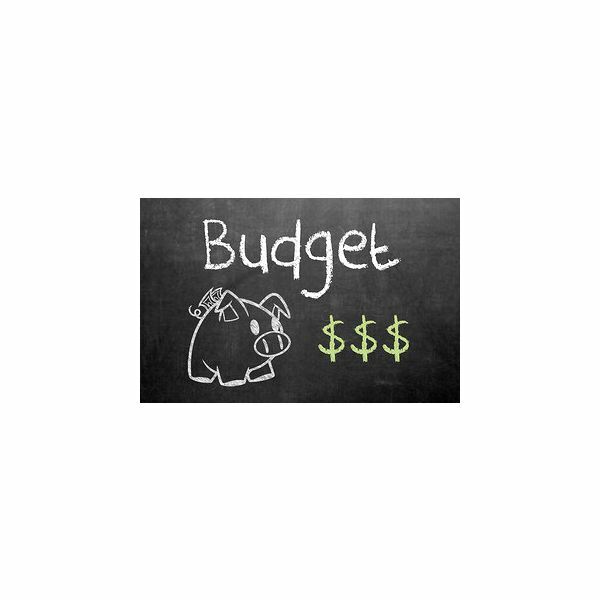 If you feel limited by the budget, well, then it’s doing its job, but you can always tighten up your expenses to find more wiggle room, as discussed in the sister article mentioned above. This series of three articles will help you manage your finances by creating a personal budget, creating a savings plan and giving you tips for maximizing your savings.